Looking for Protein Powder? Read This First! Do you ever get overwhelmed by all the protein powders on the market? This one has 30 GRAMS of protein! That one has protein AND carbohydrates! This one says FAT-BURNING! They all sound so promising! But what do you really need in a protein powder? So glad you asked! Let’s explore. Before we get started, let me remind you that protein powders are not for everyone. This article is intended for those who choose to consume protein powders, but you can still meet all of your health and fitness goals with real, unprocessed food. Before your body can even start rebuilding your muscles, it needs a solid supply of building blocks called amino acids. And in order to get these building blocks into your blood stream, your body needs to be able to break down dietary protein with relative ease. Otherwise, undigested protein molecules will pass into the colon, where they will be fermented by your gut bacteria. This fermentation process is what can cause the unwanted bloating, cramping, and gas after drinking a protein shake. This means that you don’t want to choose a protein powder that makes you feel bloated or gassy. It may be that you can’t tolerate dairy very well (so you might avoid whey and casein), or it may be that your body is not producing enough stomach acid or digestive enzymes to help expedite the digestive process. I don’t tolerate dairy very well, so I avoided whey protein for a few years. Every time I consumed some whey protein, I would get a mild stomach ache, so I figured it was the whey. But when I tried another brand of whey protein with digestive enzymes (from Gnarly Nutrition), I found that I was able to enjoy a protein shake without any bloating or cramping. So if you find a protein powder with digestive enzymes, you’re off to a good start! Closely related to the digestibility of a protein powder is the release time. This really refers to the time it takes for digestion to finish its course. As I’m sure you’ve noticed, there are TONS of different protein powders out there: whey, casein, egg, soy, pea, rice, hemp, quinoa, cranberry, and list the goes on and on. And each of these different protein sources are broken down at different rates. For example, whey protein has a very quick release time, meaning that it gets absorbed into the blood stream shortly after consumption. Casein, on the other hand, forms a bit of a gel in your stomach, which causes it to have a much slower release time. Similarly, hemp protein contains omega-3 and omega-6 fatty acids that also slow down the release time (because fat of any kind slows down digestion and absorption of other macronutrients). The supplement industry likes to make it seem like you NEED to buy a fast-release protein powder for post-workout shakes and a slow-release product for just before bed, but that’s really not necessary. 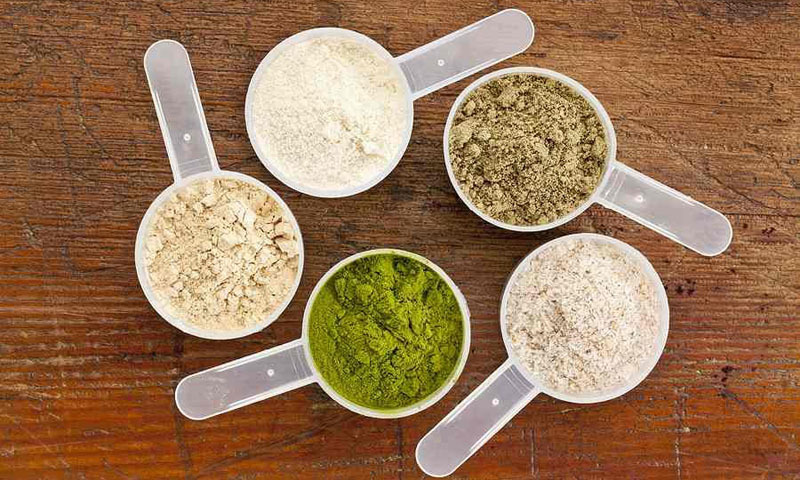 Just keep the release time in mind when choosing your protein powder: If you like to have protein immediately after a workout, you won’t want to rely on casein or hemp to get the job done. However, any protein powder will work just fine before bed. I hear a lot of people really stressing out about carb-to-protein ratios after a workout, but total protein is really more important. If you don’t believe me, then read this study from 2013 published in Nutrition & Metabolism. In this particular study, researchers found that consuming carbohydrates with protein was not significantly different from consuming protein alone. This suggests that you may not need as many carbohydrates after a workout as you might think. It also means that you don’t REALLY need a protein powder with a great deal of carbohydrates. If your protein powder of choice contains carbohydrates, there’s no need to toss it out. You’ll just want to use that protein powder as a post-workout shake instead of consuming it before bed. You also want to look for products with at least 20 grams of protein per serving. If you take a look at most protein powders on the market, you’ll find a ton of extra ingredients on the label. Some can be beneficial, but there are a few you want to avoid. 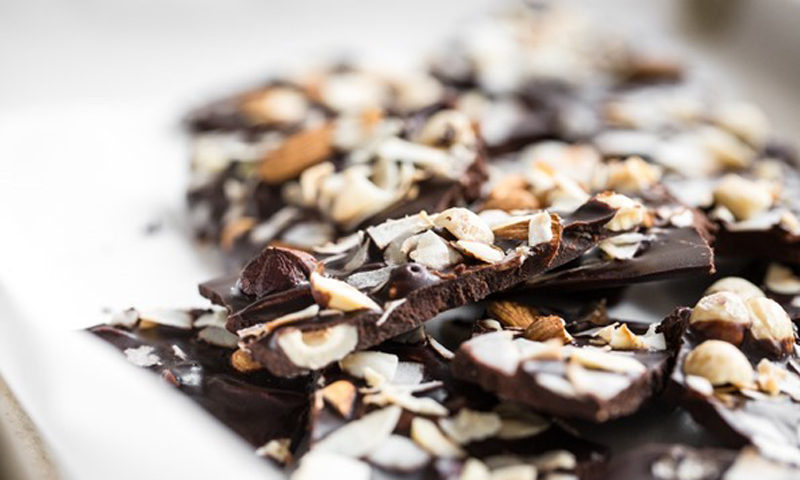 The majority of the unwanted ingredients are natural and artificial sweeteners. Read my article about sweeteners to find out how sweeteners can affect your health. It’ll be nearly impossible to find a protein powder without any sweetener whatsoever, but you can do your best to choose a product with very small amounts of sweeteners.